Sidekix is a navigation app with recommendations for places to go along the way. Have you ever found yourself facing a long drive or commute, and wishing you knew where you could stop for coffee or food along the way? Sidekix is a genius app that solves that exact problem. While Google Maps, Waze, or your GPS of choice will provide you the fastest link between your starting point and your destination, Sidekix enhances the journey. The app displays the best places of interest around you in real time, and also recommends places to stop if you enter in a route. Sidekix is also useful if you’re walking to your destination, as it’s obviously easier to stop compared to driving on the freeway or something like that. 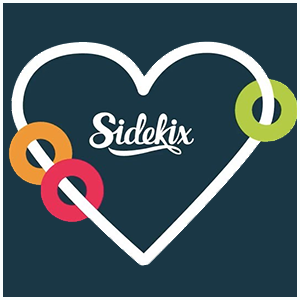 Sidekix also has several social features, such as the ability to save your routes in the form of guides, and share them with friends. When you’re looking for a route, the app also customizes it based on your interests. So, you can set up a route to be guided by food, shopping, drinking, etc. 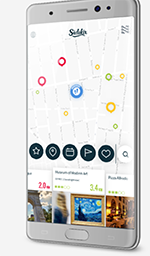 The app offers a unique way to discover the city around you, and it works in several metropolitan areas around the world. Too often we get caught up in just trying to get from one place to the other as fast as possible, but Sidekix aims to allow us to slow down and enjoy the world around us for once.